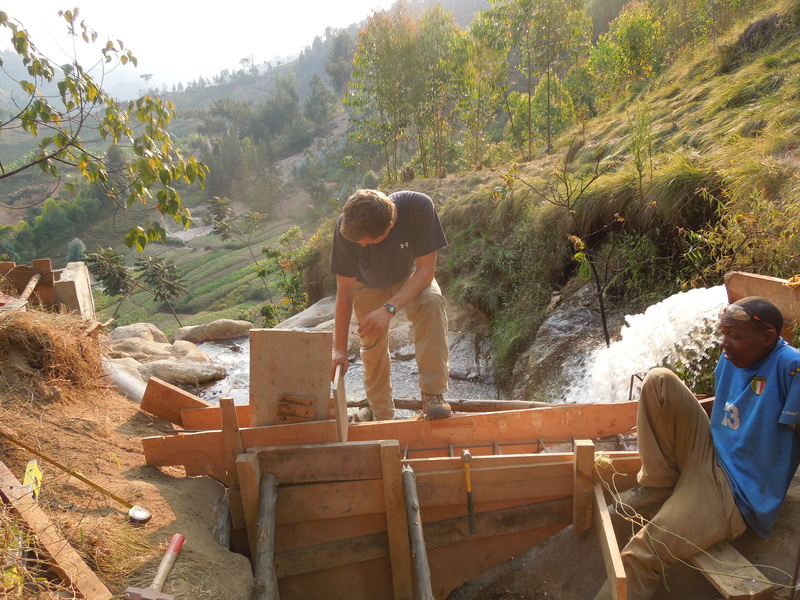 Dartmouth Humanitarian Engineering - Rwanda | Creating zero-emissions hydro electricity in rural Rwanda. 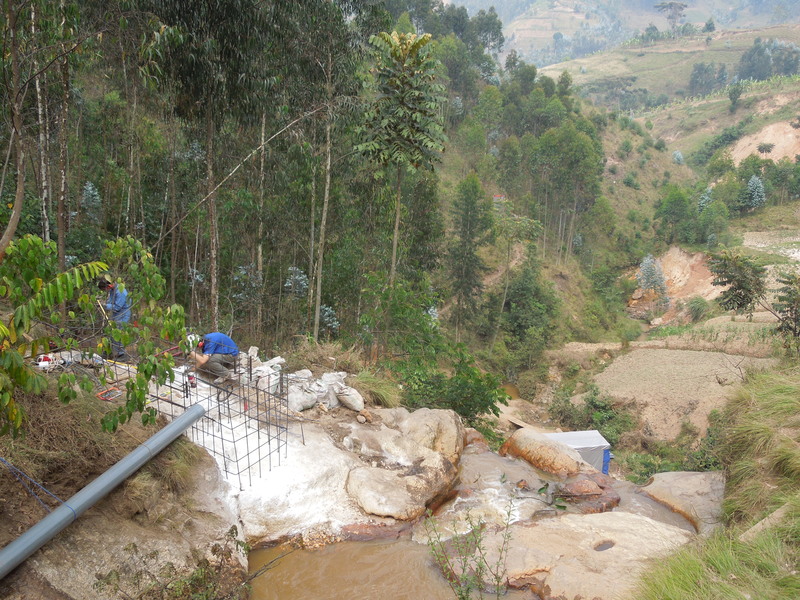 Creating zero-emissions hydro electricity in rural Rwanda. The weir is the part of the hydroelectric system that diverts water from the stream. 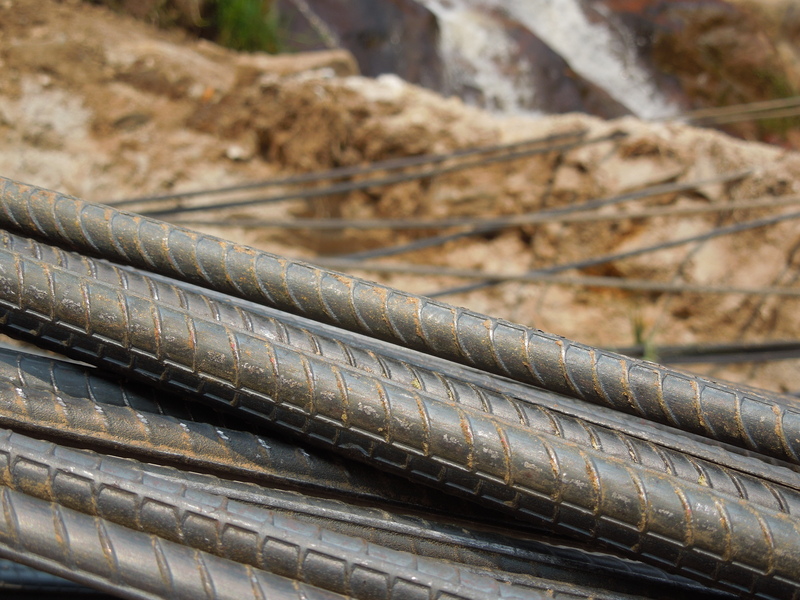 It is a section of steel rebar reinforced concrete that sits across the bed of the river. The headrace transports water from the weir to the settling tank. 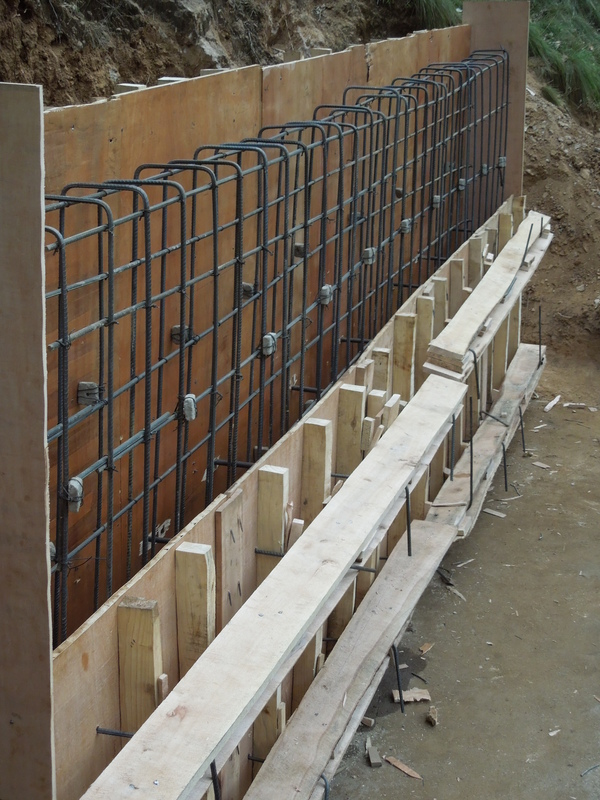 We poured the weir last Friday and we are now waiting for the concrete to cure before removing the formwork. I went back to the metals market last week to commission a trash rack. This time I went to the metals market in Butare, which is smaller and has fewer materials than the one in Kigali. The trash rack is a triangular prism that fits over the water intake in the weir. It will hopefully keep floating junk out of the settling tank and headrace (the pipe that leads to the settling tank). I should have brought rebar that was already bent into the shape that I wanted because they don’t have rebar benders here, and the guys working in the metal market use a hammer and an anvil to bend the rebar, which takes forever. 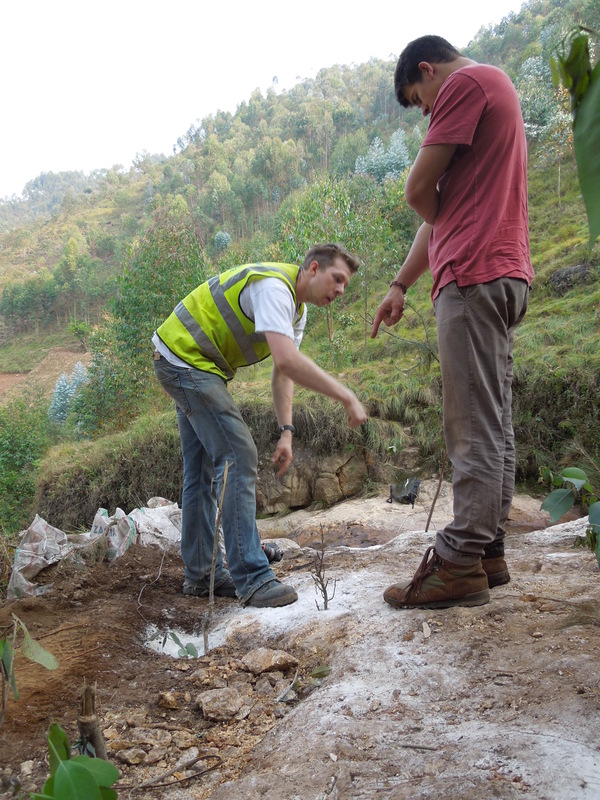 A few weeks ago, Asher and I from DHE and Joanis and Rushabh from e.quinox along with Longin, a student at the Kigali Institute of Science and Technology, set out to survey the villages that will be served by the hydropower system. Our goal was to gather enough information to develop a business plan, specifically how to price the electricity produced by our system. We designed the survey to measure the economic activity of the village and to determine how much people spend currently on electricity or electrical substitutes. 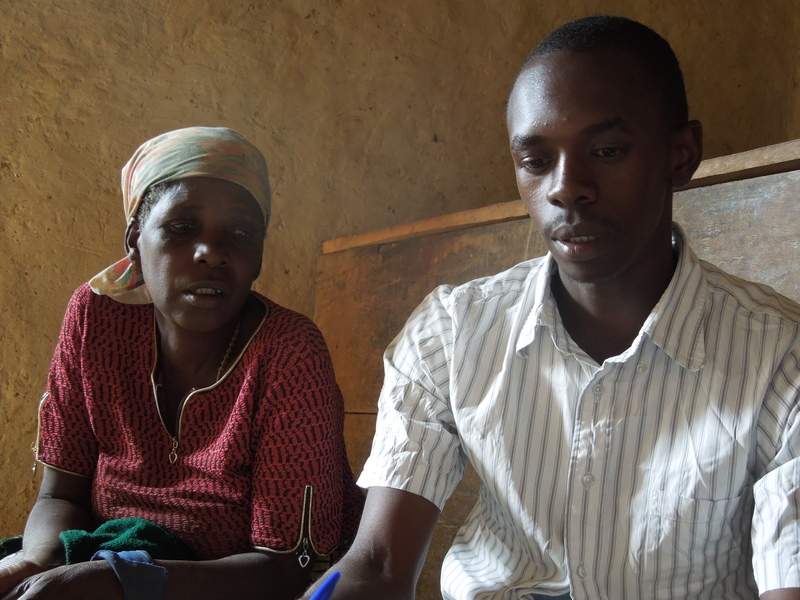 With Longin translating, we spent a day each in the villages of Nyamirambo, Rugusa, and Rugote. With the exception of a few shopkeepers, bartenders, and teachers, everyone is a farmer. Nearly everyone owns their own home. Average cash income is less than $10 per month. As farmers, their cash income does not accurately represent their economic activity, because so much of their income is in the form of consumable foodstuffs. However, this area is still one of the poorest in Rwanda. We found that many people used candles and flashlights powered by AA or D-cell batteries. Others had LED lights with a homemade wiring set-up leading to a row of D-cell batteries. A few relatively wealthy people even had small solar panels which would charge flashlights or cell phones. 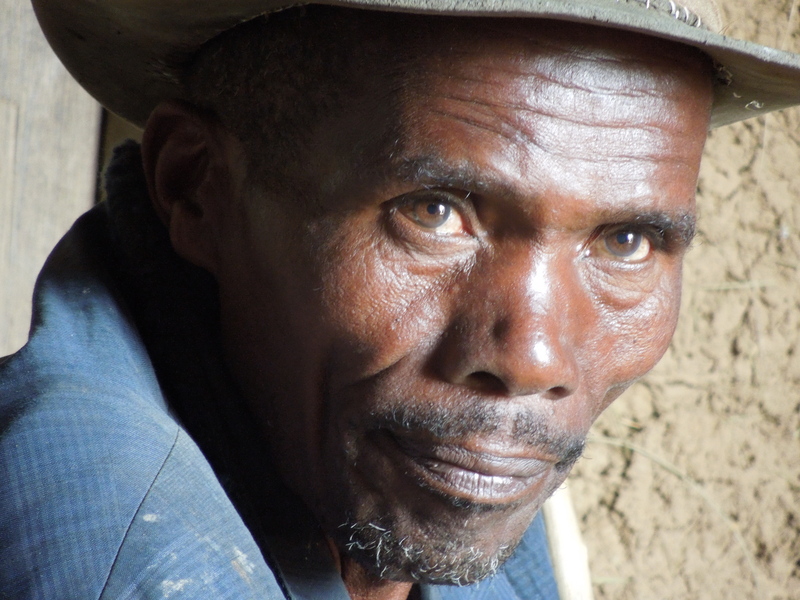 Approximately 5 people in Rugote have car batteries that they charge in the sector capital of Ruramba, which is around a 2 hour round trip or so by foot from Rugote. They use them for charging cell phones and lighting. The man we met who owned a car battery was a teacher. Teachers tend to be relatively wealthy because they have government salaries. Many people have cell phones, but depending on which village they live in, they have anywhere from a 2-4 hour round trip walk to get them charged. 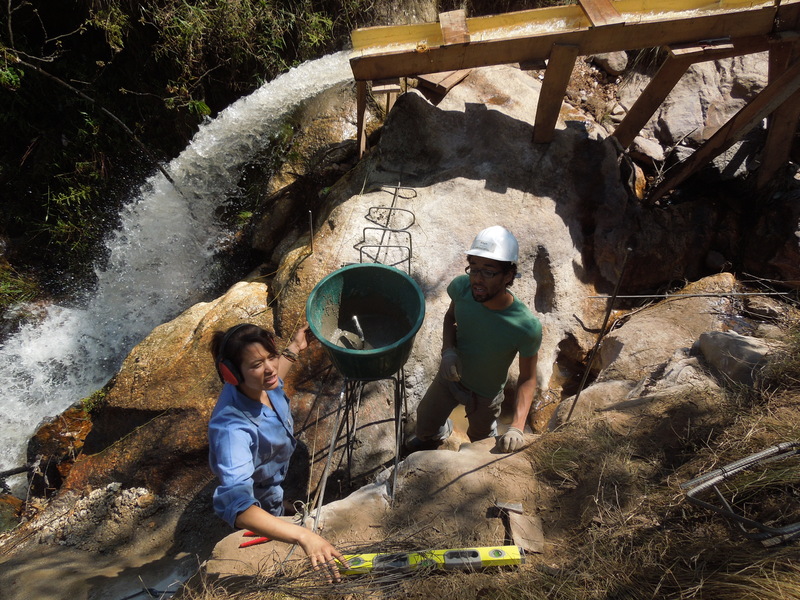 The concrete for the kiosk, which will house the turbine and associated electronics, was poured in two stages. Last Friday, we poured the foundation. 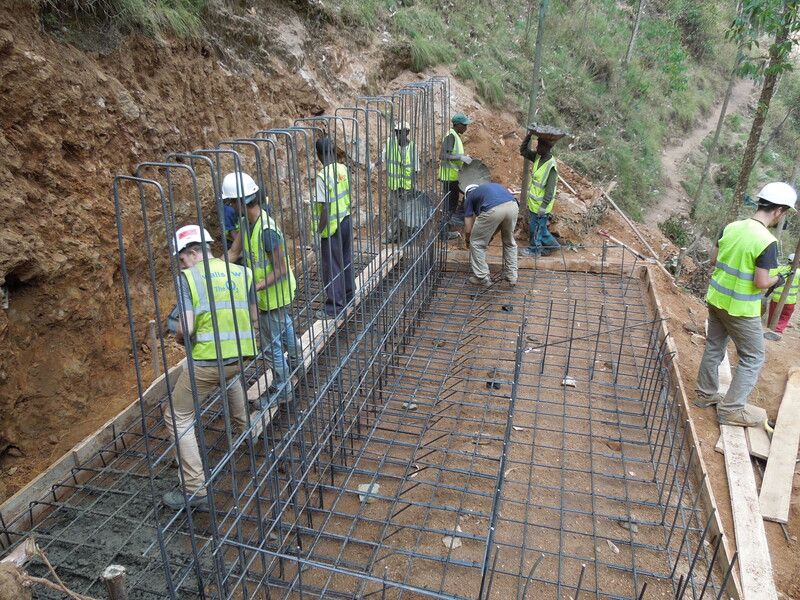 Today, the group on site is pouring the retaining wall. With no concrete mixers, all the concrete – about 9 cubic meters for the foundation and another 7 for the retaining wall, have to be mixed by hand and passed in a firebucket line in large metal pans to the kiosk. 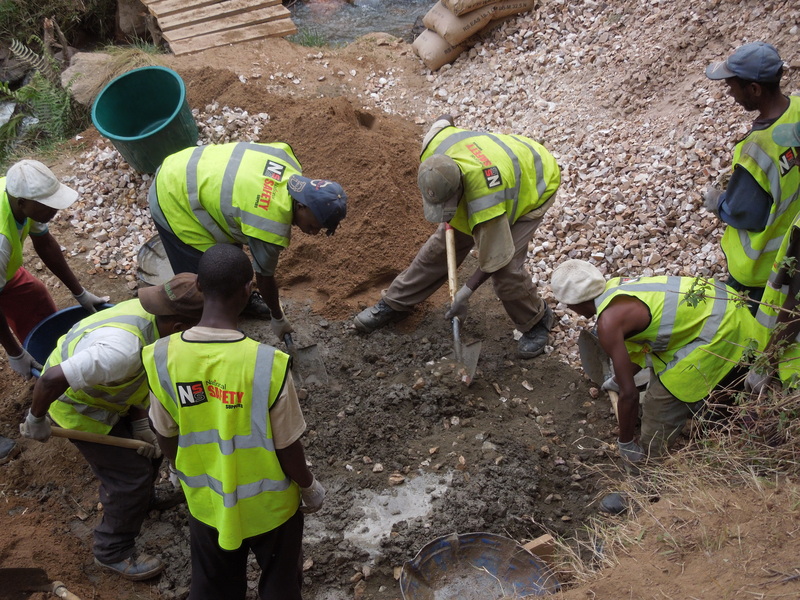 It is exhausting work, but our laborers worked hard and we finished pouring the foundation within the span of a normal workday, much to everyone’s surprise. 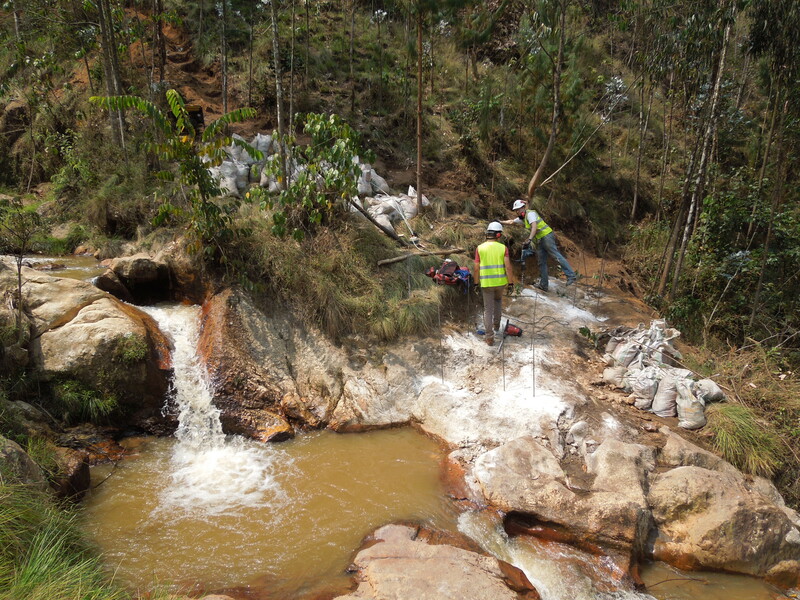 One of the biggest challenges of working in Rwanda has been the inferior quality of materials and tools. Tools that last a life time in the U.S. break within weeks here, sometimes after only a few hours of use. 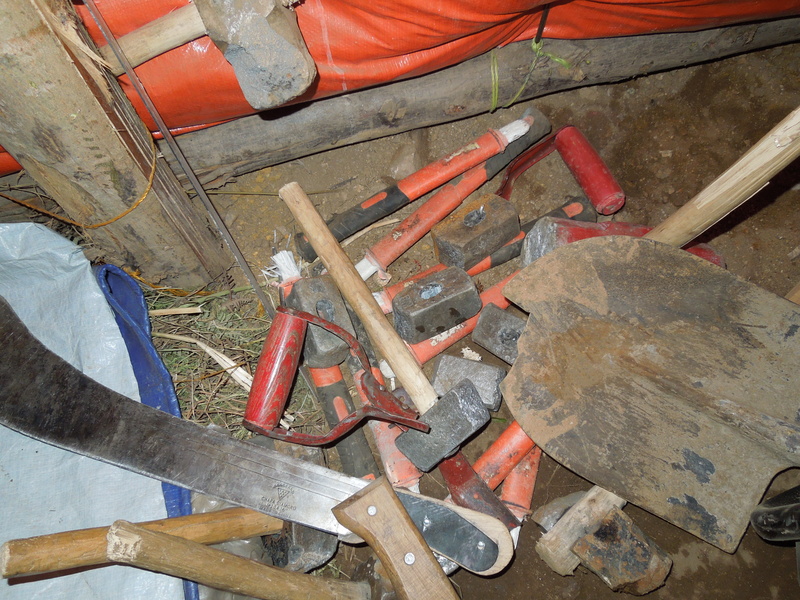 With the exception of a single tape measure, all of the tools brought from the U.S. or Great Britain are still working. 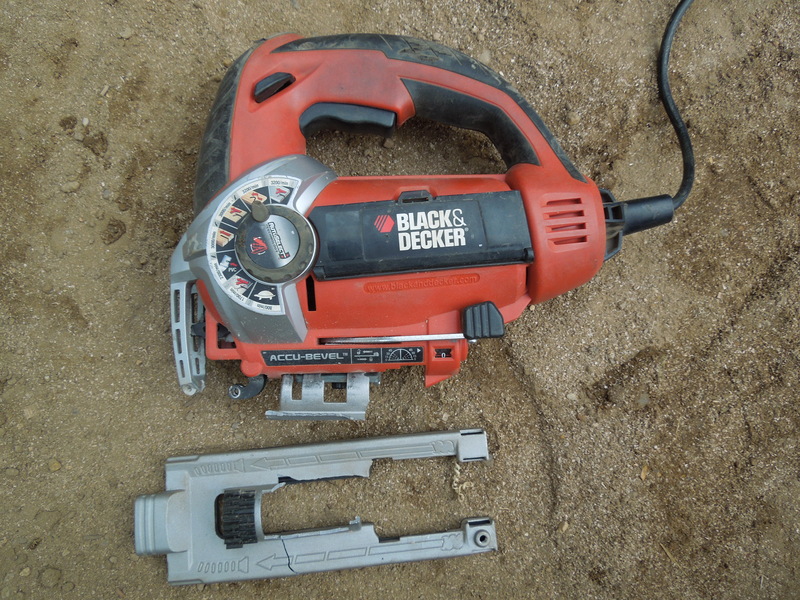 However, we’ve broken countless locally acquired hammers, saws, machetes, shovels, generators, a caulking gun, and a jig saw. The tape measures we buy here can be best considered as disposable. 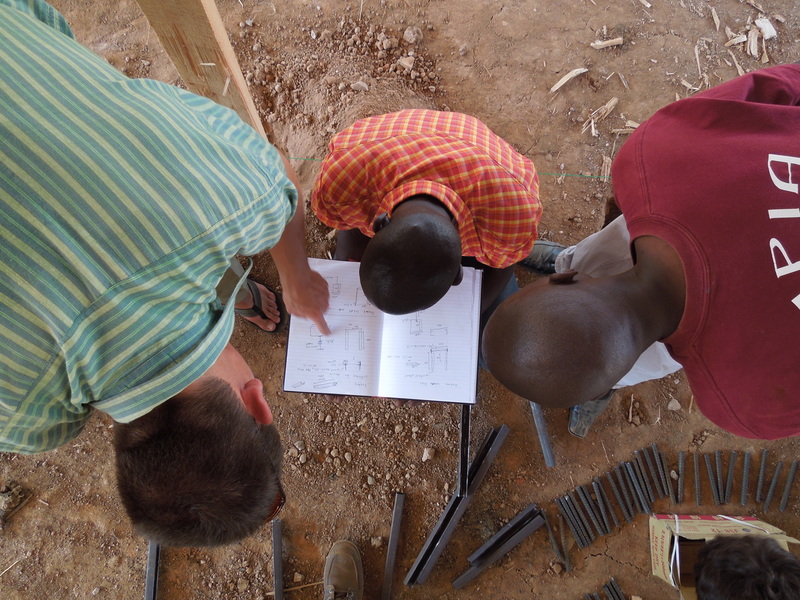 When I first heard that our laborers were quickly going through hammers, I wondered how that could be possible. After all, how do you even break a hammer? Many ways it turns out. 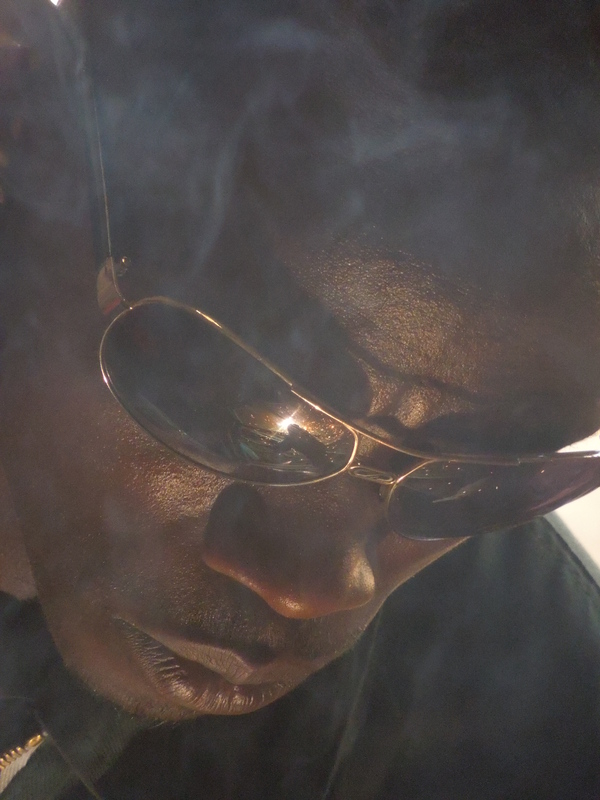 The shaft can break, the connection to the head can fail, but most of all the iron or steel used in the head is of such poor quality that within a few days of use it shatters. This caulking gun broke before we could even use it. We fixed it with tie wire. two more broken hammers. 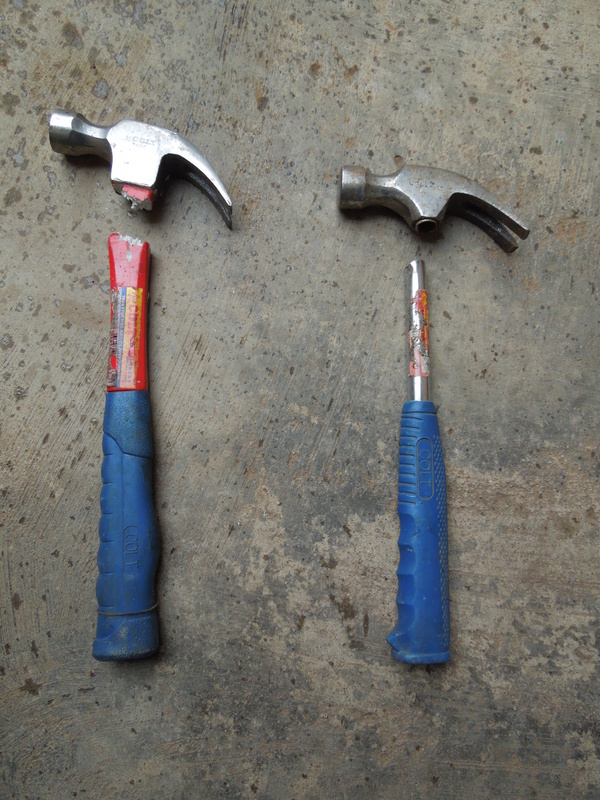 The hammer on the left broke within hours of its first use. Against all expectations, Kevin, Merritt, Adam, and I, along with all our hired laborers, finished pouring the settling tank a week and a half ago. We stayed 30 minutes the normal end of the work day, and let the workers go half an hour early the next day. It was quite a race to get the pouring done by the end of the day, especially because we had to make constant repairs to the formwork as we poured. Unfortunately, we were only able to find extremely low quality plywood for the settling tank. It kept buckling and breaking under the weight of the wet concrete. We pulled off the formwork around the tank starting on Monday. It wasn’t pretty, because of all the difficulties with the formwork, but very solid. Mayor, a Rwandan foreman we’ve hired, has been cleaning up the tank by mortaring the sections that did not turn out as cleanly as we had hoped. More photos to come once the mortaring is completed. 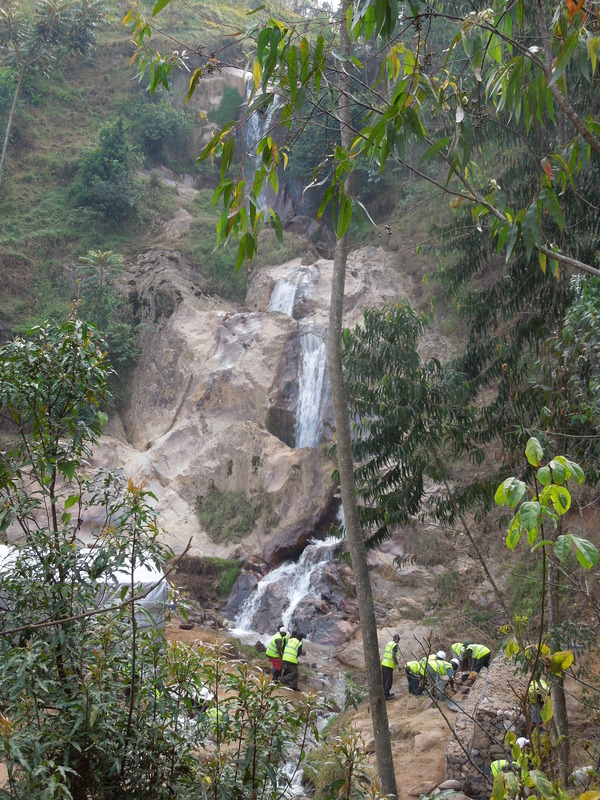 There are one hundred eighty-five vertical meters between the village of Nyamirambo and the hydroelectric site. 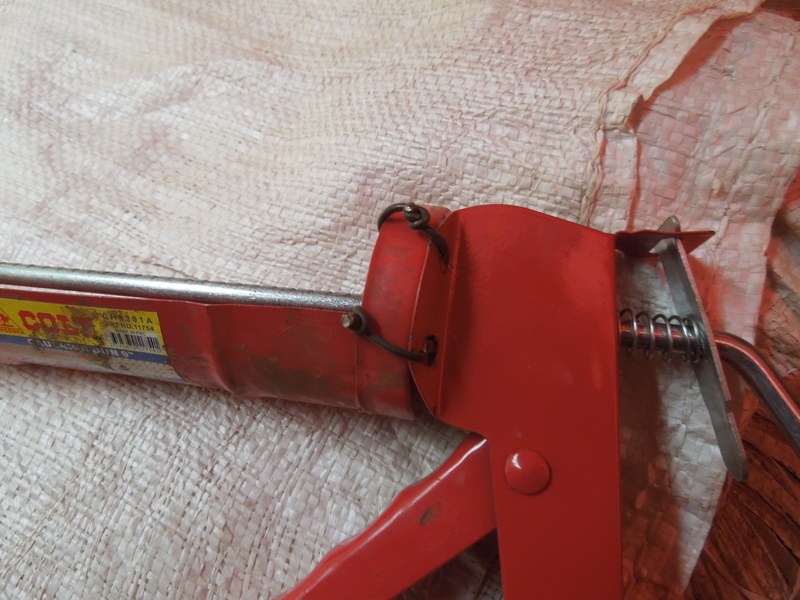 We have, or have used, 110 fifty kilogram bags of cement, several tons of gravel, several tons of sand, dozens of meters of steel rebar, roofing material, lumber, and numerous other tools and materials. The whole village has been helping us get this material to the installation site. 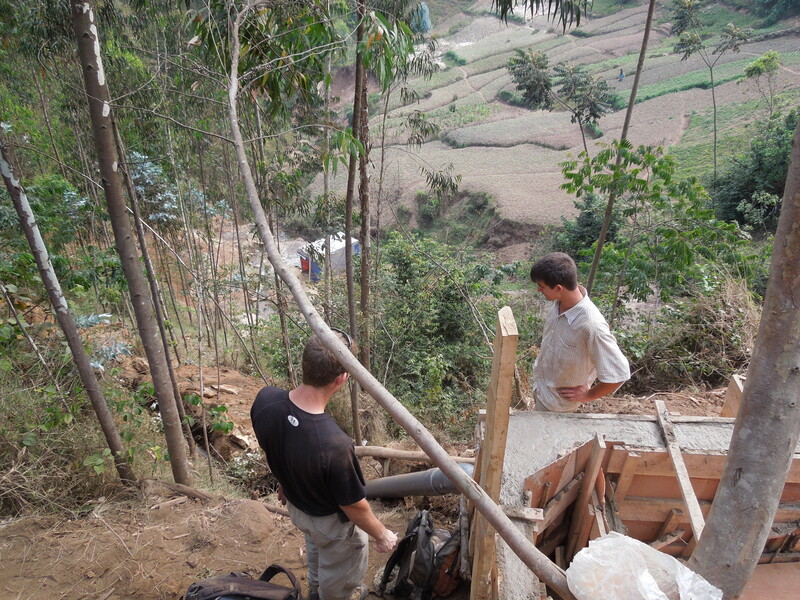 We’ve had four big days, when we hired out local villagers to carry material down – one for sand, two for gravel, and one for the bags of cement. 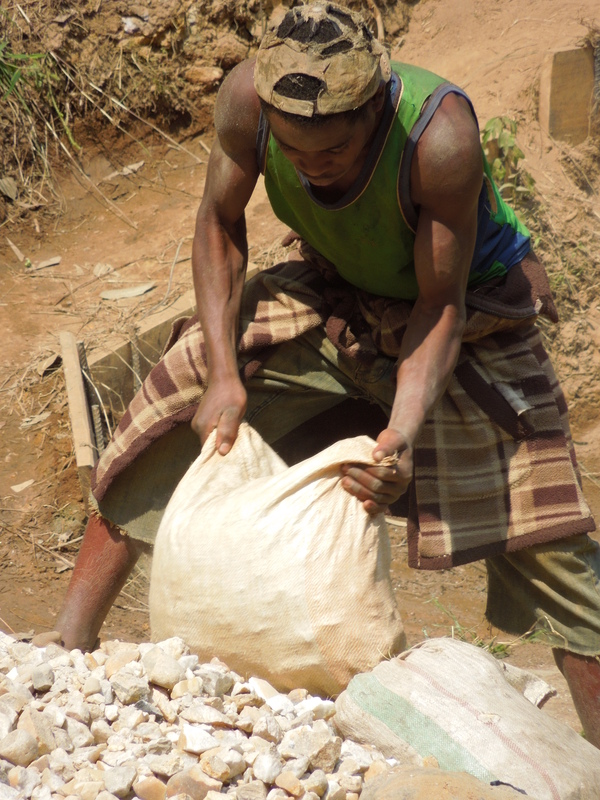 a villager empties his sack of gravel into the pile. The gravel will be used in concrete for the weir, kiosk, and settling tank. 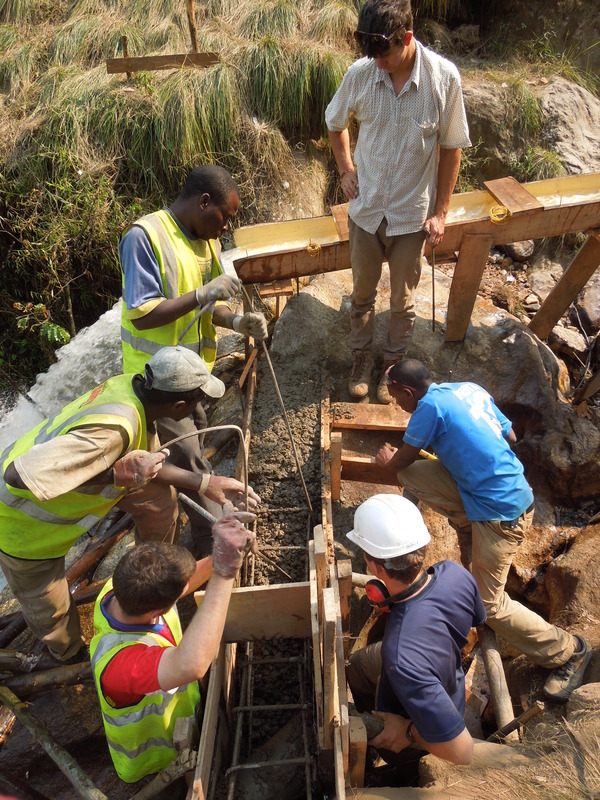 The last few days, the team has been hard at work on the settling tank. 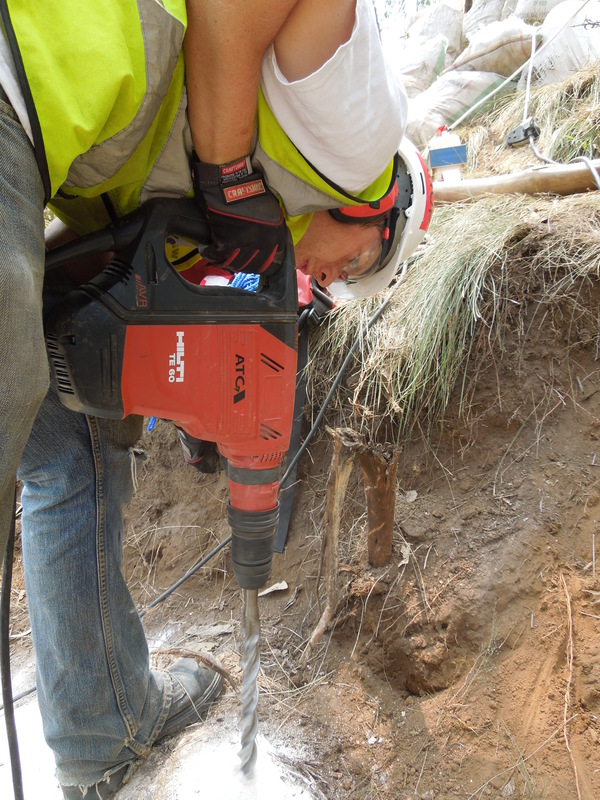 Just about everyone has taken a turn using the Hilty and Bosch rock drills to drill holes in the bedrock below the settling tank to anchor the settling tank to the rock. Natalie Burkhard `12, Kevin Francfort `15, and Finlay McPhail (Imperial College London) `13 constructed the rebar frame for the forebay by bending rebar with the massive rebar bender and wiring it together in the shape of the frame. 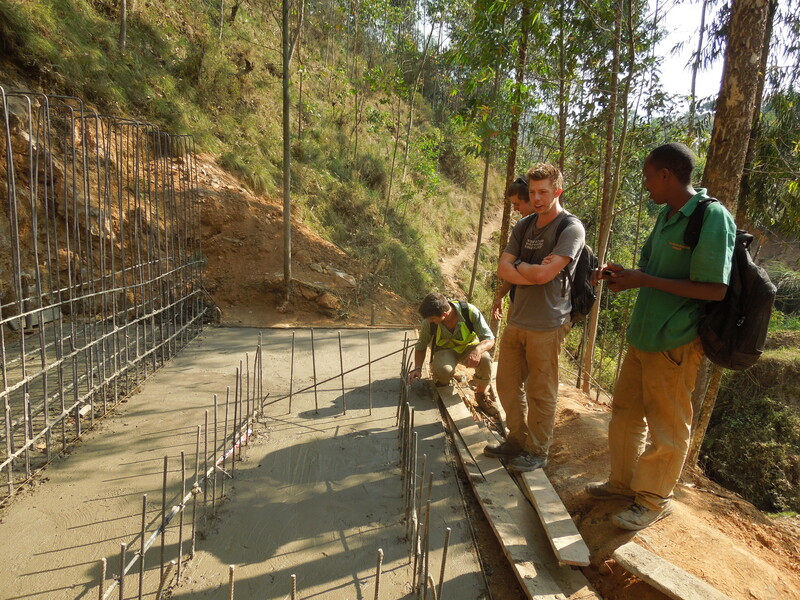 Mayor, the Rwandan engineer we’ve hired, led the team of subcontractors that built the wooden formwork that functions as a sort of a mold for the concrete around the rebar frame of the forebay. Finlay and Merritt work on the anchor holes for the forebay. The hydroelectric system has 6 main civil works components. First is the weir, or small dam, that diverts a portion of the water away from the river. The second is the headraise, a PVC pipe that takes the water from the sluicegate of the weir to the third component, the forebay. The forebay, also known as the settling tank, is a large bathtub-shaped concrete tank where sediment in the water will sink to the bottom of the tank to keep the water going through the rest of the system clean. Next the water flows into a PVC pipe of a slightly smaller diameter than the headraise. This is known as the penstock. The penstock runs down the steep, uneven hillside to the kiosk. The kiosk is a small brick building that will house the turbine and the electrical systems which will charge the battery boxes. The last component is the tailraise, or another pipe running out of the turbine which returns the water to the river. 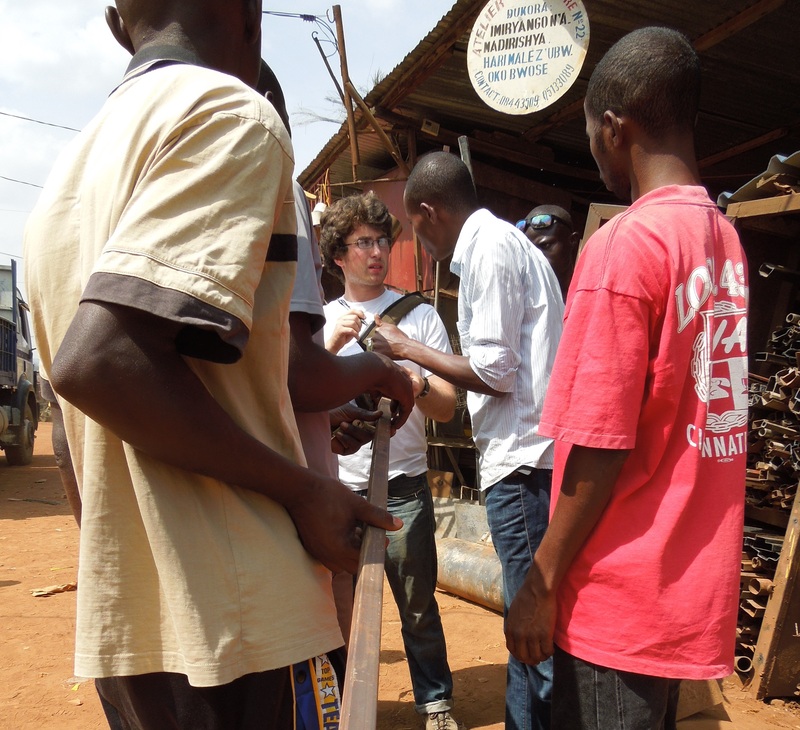 Wiley, Merritt and I spent the last two days in Kigali’s metal market at Gikongiro Gisozi. 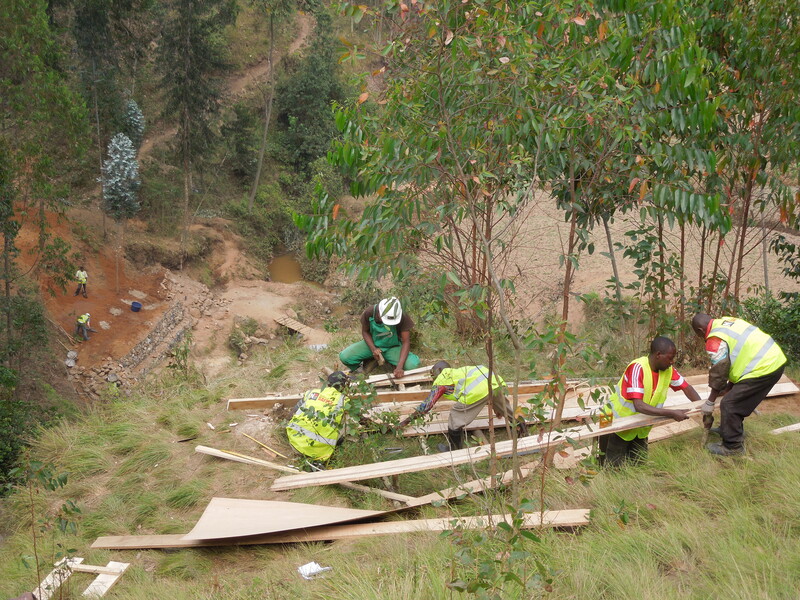 We were looking for pieces of metal that could be used to build the sluicegates for the weir and settling tank. The sluicegates will control the flow of water entering the settling tank and from there the flow of water entering the tube to the turbine. After much haggling over the course of two days, we found everything we needed. We were even able to get all the welding done that we thought appropriate at this stage of the project. Wiley negotiates a fair price for some channel stock. 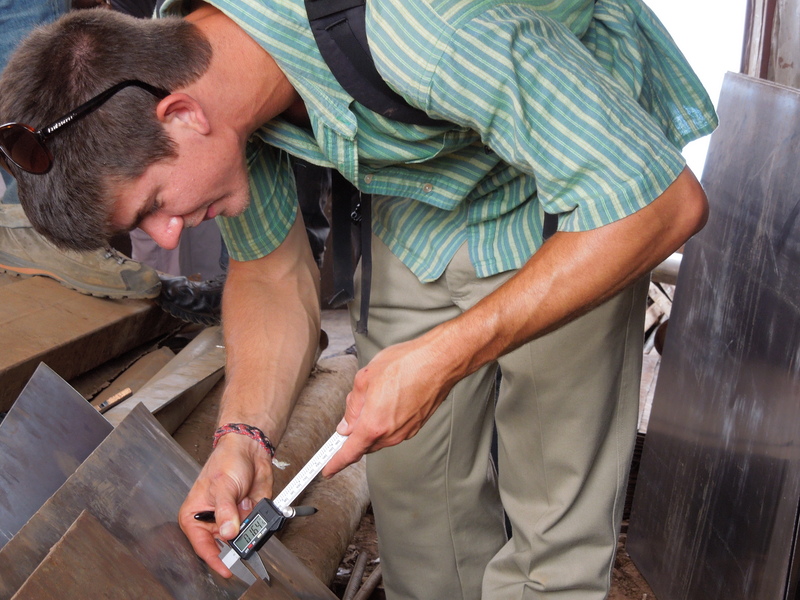 Merritt measures the thickness of a piece of sheet metal. Merritt explains how he wants the welding done.